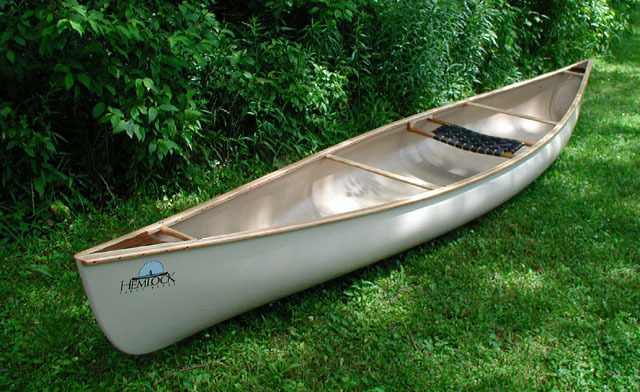 The Eaglet hull is a downsized version of our versatile Eagle tandem canoe. We offer three versions. 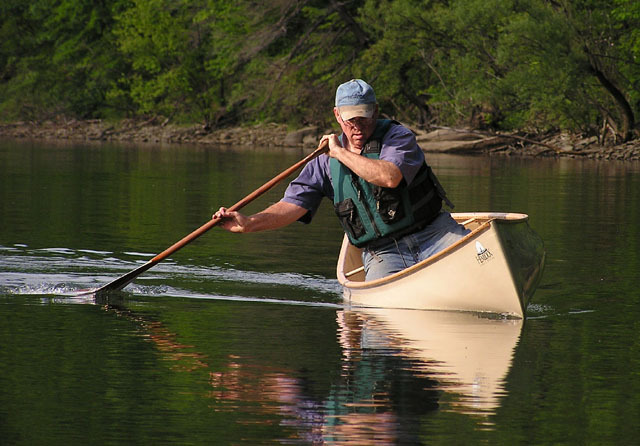 The Eaglet I is a solo sport canoe. Intended for larger solo paddlers or bigger loads. The Eaglet I is very maneuverable yet paddles easily and tracks well. It also provides solid stability for those who wish to add the companionship of a child or an animal. Rigged with a single center seat. 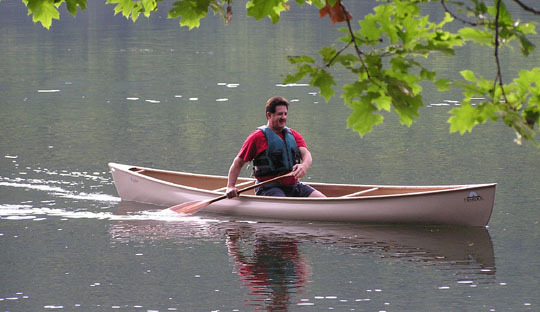 Eaglet II is built and rigged as a small tandem recreational canoe, ideal for small couples, parent/child or grandparent/grandchild situations. Rigged with two seats and a portage yoke. 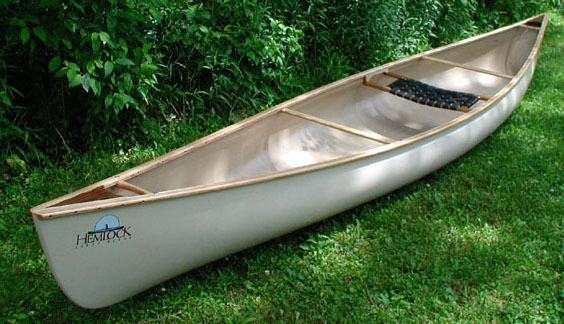 Can also be utilized as a tandem touring canoe for small stature paddlers. 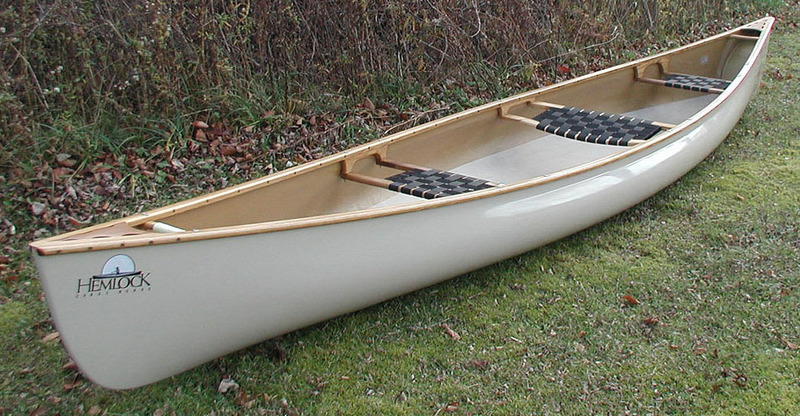 Eaglet III is a solo/tandem combination canoe. Rigged with two seats and a solo kneeling thwart. A third seat can replace the kneeling thwart. All Eaglet versions are symmetrical hulls. Hull Laminates and trim are specific for each version. Recurved sides as in the Eagle allow comfortable solo paddling at the center of a hull wide enough to allow tandem stability. Nicely flared ends enhance seaworthiness. 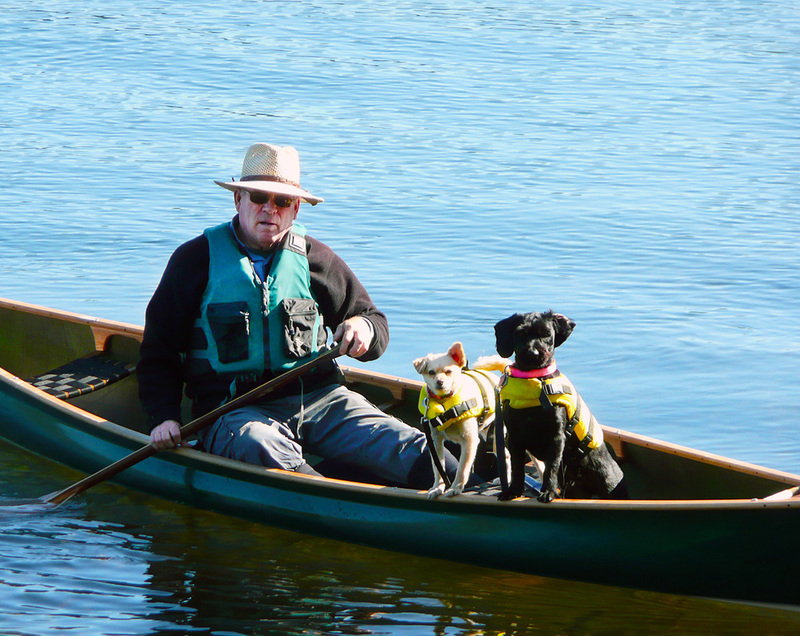 Highest quality materials combined with careful workmanship yields a durable and visually appealing canoe that you will enjoy paddling and be proud to own. Hull Width - at gunwales : 30.5"
Hull Width - maximum : 32.75"
Hull Width - at 4" WL : 30.5"
Hull Depth - bow : 18.0"
Hull Depth - center : 12.5"
Hull Depth - stern : 18.0"
Avg WT - Kevlar®/Hybrid hull : 42 , 45 , 46 lbs. Avg WT - Premium+ hull : 38 , 41 , 42 lbs. Avg WT - Premium Lite hull : 36 , 39 , 40 lbs. Capacity - Maximum : 600 lbs. Capacity - Efficient : 200 - 450 lbs.